Luxury hotel MARINA BAY SANDS has been designed to be the leading business, leisure and entertainment destination in Asia with it’s unique and luxurious design. The investment reaches the $5 billion. 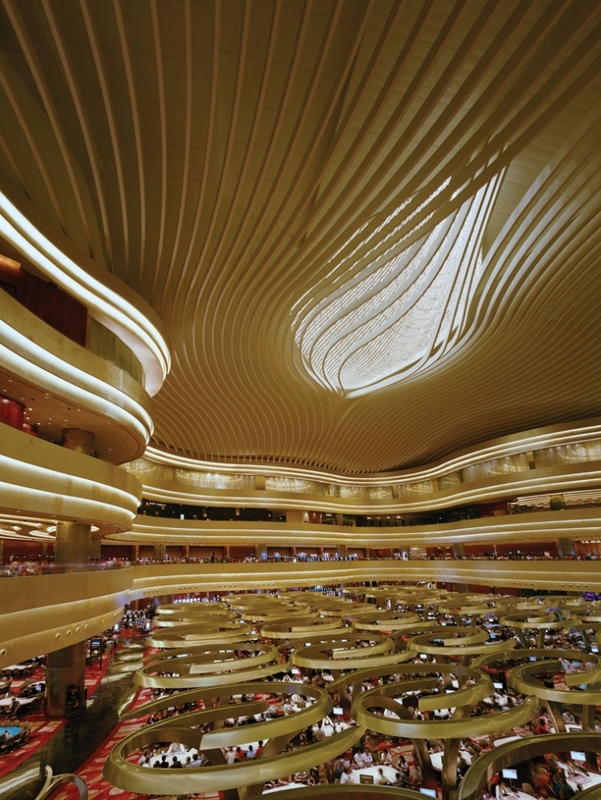 It’s boat-shaped ‘SkyPark’ perched atop the three 55 storey towers and 2,560-rooms. This three towers are connected with a one hectare roof sky park offering 360-degree views of Singapore’s skyline and featuring a 150-meters infinity pool, landscaped gardens with over 900 different types of trees and plants, dining facilities (exclusive restaurants including The Sky on 57 which is run by Singapore’s celebrity chef Justin) Quek, an entertainment venue. 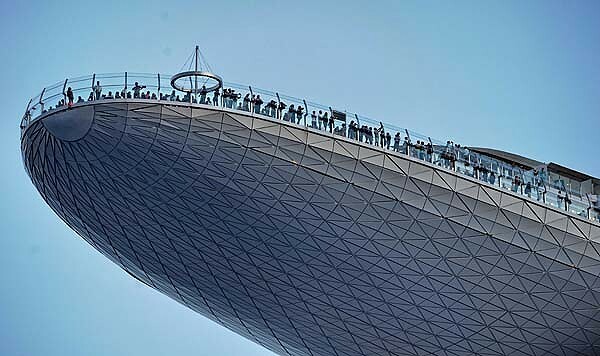 The Sky-Park’s infinity-edged swimming pool , with a 475-foot vanishing edge, is perched 200 meters above the ground, and the observation deck offers visitors the unique opportunity to feast their eyes on the unforgettable panoramic view. While the water in the infinity pool seems to end in a sheer drop, it actually spills into a catchment area where it is pumped back into the main pool. At three times the length of an Olympic pool and 650ft up, it is the largest outdoor one in the world at that height. Marina Bay Sands stretches longer than the height of the Eiffel Tower or as long as four and a half Airbus A380 jumbo jets. The gravity-defying cantilever is one of the largest of its kind in the world. 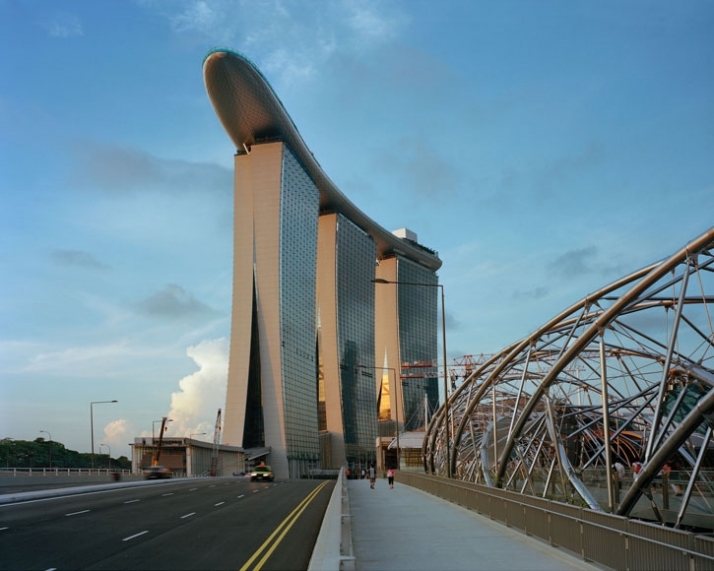 In spite of the complexity and magnitude of the project, the Sands SkyPark pool was built over a mere span of 7 months. The speed of construction can be attributed in a large part to the pre-fabrication of the stainless steel. Useful details. Privileged me I discovered your internet site inadvertently, and I’m shocked exactly why this specific automobile accident couldn’t happened earlier! I actually saved as a favorite this.